Lower production and depressed oil prices dragged Husky Energy deeper into the red in the third quarter, bringing 2016 total losses to $649 million. 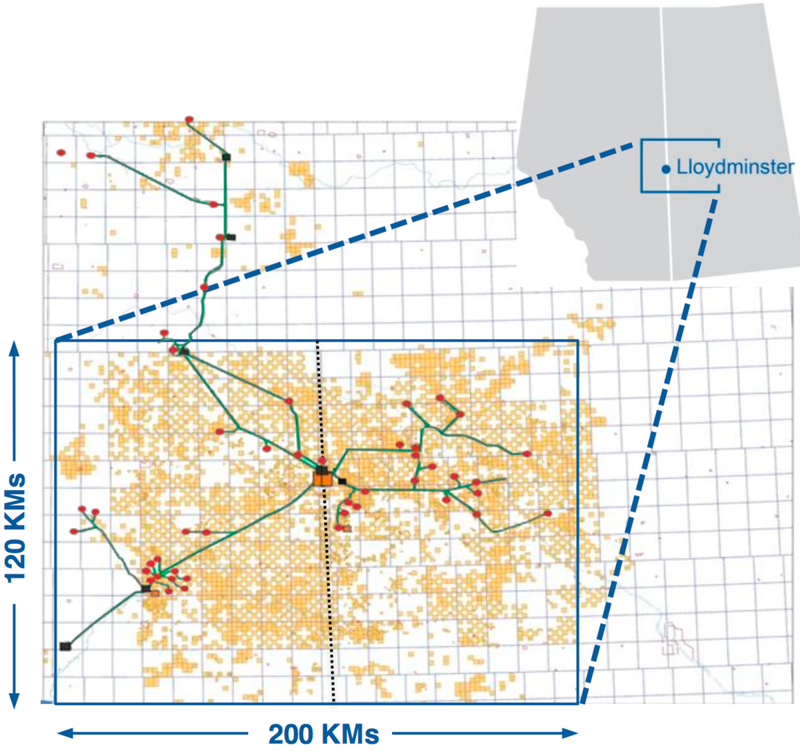 However, the company says it plans to return to profitability by focusing on more cost cutting and doubling-down on its thermal production in the Lloydminster area. Husky remains very bullish on thermal oil, calling it an important source of low-cost, low-capital growth. Thermal now produces 115,000 bbl/day, up 500% from only 5 years ago. 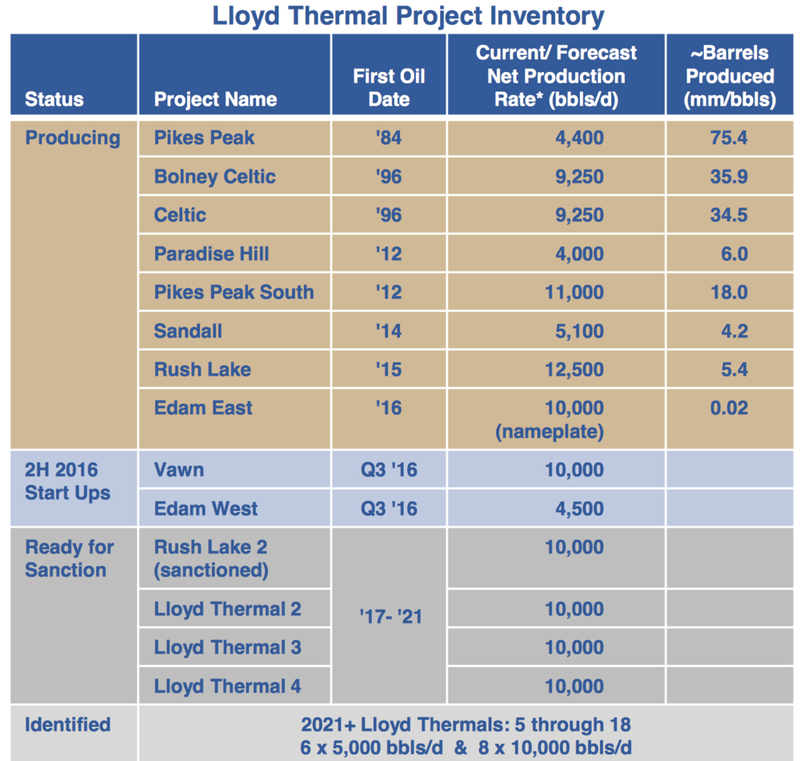 The company is progressing construction of its 10,000 bbls/day Rush Lake 2 Lloyd Thermal Project with first oil expected in 2019. Husky also says it has another 17 Lloyd thermal projects on the books with the potential to produce an additional 150,000 bbl/day. The company hinted it plans to sanction 30,000 bbl/day of new production very soon. The Sunrise SAGD facility has returned to normal operation after being disrupted in May during the Alberta wildfires. A total of 55 well pairs are currently producing about 33,000 bbl/day as the project continues to ramp up to its nameplate capacity of 60,000 bbl/day. Although the company has no plans for expansion just yet, it has identified future debottlenecking opportunities. Sunrise already has regulatory approvals in place for 200,000 bbl/day of production. Sunrise is a 50/50 joint venture with BP. Production from the in-situ facility is processed at BP's Toledo Refinery. Total production at Husky fell 10% to 301,000 boe/day. The decline was blamed on lower output from its Liwan Gas Project off the coast of Hong Kong and recent divestitures in Western Canada. Cash flow from operations fell to $484 million in Q3, down from $674 million for the previous year/quarter. Operating netbacks across the company declined to $15.70/bbl in the third quarter, bring the year-to-date average to $14.09/bbl. Throughput at its refineries and the Lloydminster Upgrader improved to 320,000 bbls/day versus 293,000 bbls/day in Q3/2015. CEO Asim Ghosh announced he will retire in December after 5 years on the job. Ghosh will be replaced by the current COO Rob Peabody but will remain on Husky's Board of Directors.